Are you as excited as we are for a SPRING OPEN HOUSE??? It's time, and we're getting ready with surprises you'll love!!! Mark your calendars, and then come! Gather with friends to meander our yards and shops. Our Glass House will transform into a gallery! 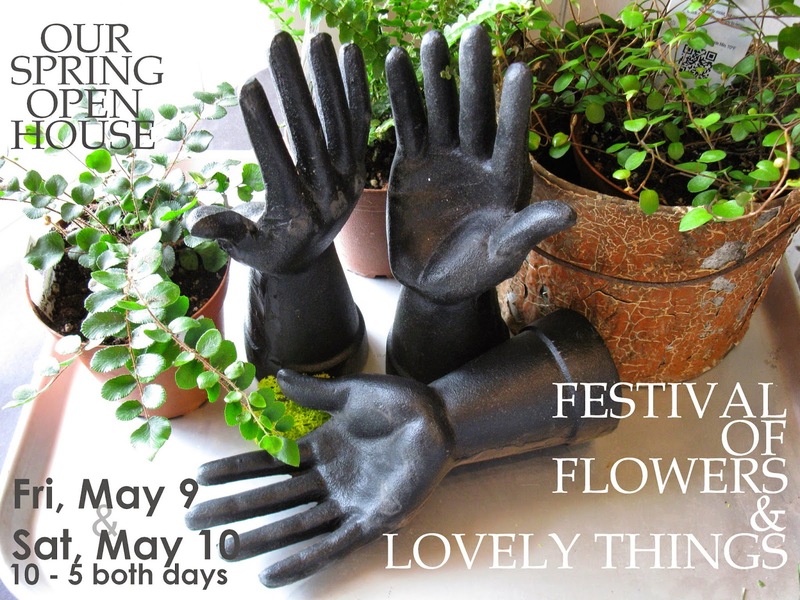 Pleased to present to you these two days, will be our pop-up artist and in-house flower designer Cheryl Sheeley!!! Just a few teasers to get your curiosity going, we are going to have a wild•wispy•wonderful time with FLOWERS! Exquisite flower chandeliers; oil paintings; vessels to fill your own flowers for giving or keeping; prismy, lovely chandeliers for your home; and potted gardens for your patios and porches. And as always, we'll have both houses filled with SPRINGTIME brilliance! Say YAY for spring! Happy times are here!! !